Sandstone is one of the softest stones used in construction. The stone is very porous and allows water in and out of the stone itself. This porous and soft stone can create issues in basements as the stone slowly wears away and water is brought into the basement. Mold and mildew are issues when water is present in the basement. One way to limit the amount of water entering the basement is to paint and then seal the stone. Check to see if the stone has been treated. Take a teaspoon of water and place it on an area of the sandstone. If the water is immediately absorbed the wall will need to be treated with a sealer. If the water runs off or pools in an area, then it has been treated previously. Clean the wall from any dirt and debris. 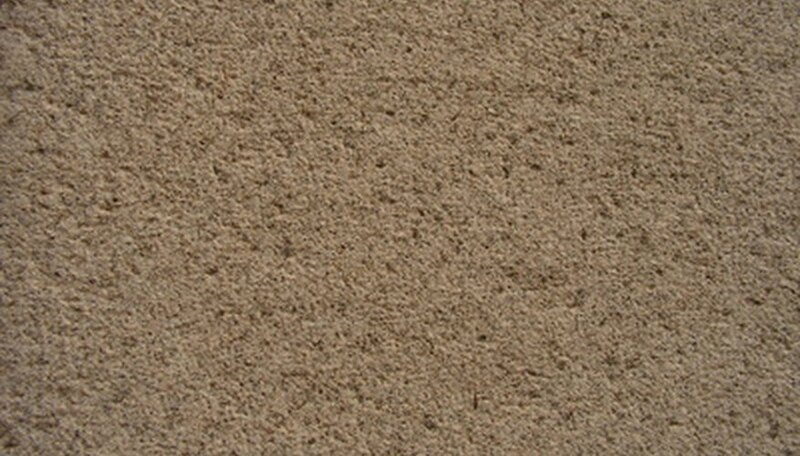 Sandstone is very soft and wears away over time. Use a cloth to brush off the stone. Do not scrub the wall as it will only remove more stone. If the wall has been painted previously take off any peeling paint from the wall by hand. Paint the wall using a paint sprayer. Start with a primer if required for coverage. If you do not have experience using a sprayer it may be best to practice prior to attempting it on the wall. A paint sprayer is preferred because it will allow the paint to enter into the same creases and pits in the stone. A roller or paintbrush may not obtain the same level of coverage. Seal the wall after the paint has dried. If the walls have been treated with a sealer, a basic clear coat will add additional protection. Purchase a spray can at any art supply store that will dry clear. If the wall requires a sealer use an impregnated sealer that can be purchased at any home supply store. The impregnated sealer will allow water to come out of the stone but will not allow water to go into. Do not use the sealer prior to painting. Impregnating sealers may not allow the paint to absorb into the stone.